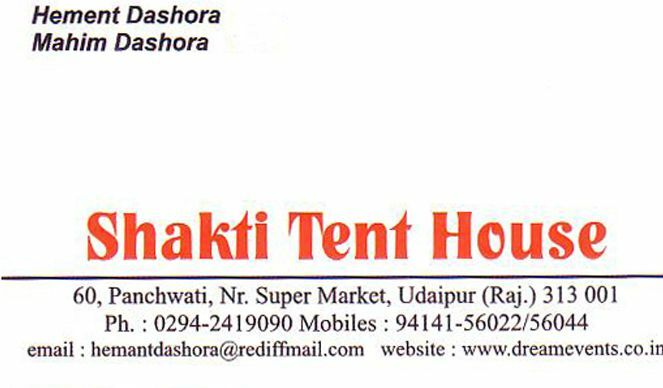 Shakti Tent House is an unit of Dream events, an event management company in Udaipur. It has inhouse infrastructure for kind of event management services. It presents you services with world class designs and environment. Copy right @ 2019 UdaipurMart.com | Powered by PapaSiddhi.